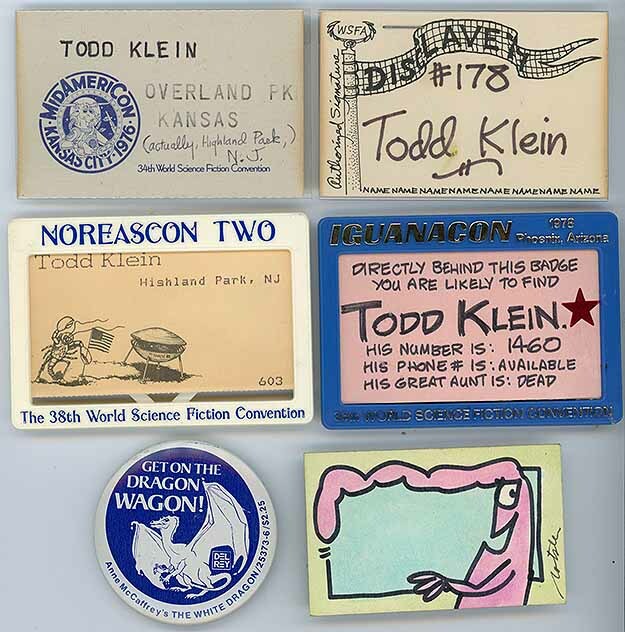 Hi Todd – you probably don’t remember me but I was working for your old friend Paul Freeman during IguanaCon in Phoenix. We brought you over to artist Don Newton’s place after the show and we all had a great time with you, as you drew a “lettering sample” for Don which he proudly hung on his wall in his studio area. Your posting of that badge brought back that fun memory. Cheers! Hi Jay, thanks for the memory! You’re right, I don’t remember you, but I do remember visiting Don. Cheers!